A simple circle of plastic, how different can they be? When you are looking at disc golf discs, it can be easy to start thinking that they can't be much different from one another. When I began playing I randomly picked a disc with the coolest name and graphic and began playing. After doing research you begin to realize that disc golf discs can vary drastically depending on throwing technique, individual release velocity, disc material, among other factors. If you are looking to maximize your distance and the control of your drives, then you need to take a look at the recommendations below of the best disc golf discs for your technique and experience. These reviews outlined below are customized discs based on the type of disc you're looking for (Distance, Fairway, Midrange, Approach, and Putter), the technique you will be using (Backhand, Forehand, Tomahawk), the material (Champion, Z-Line, Star, and DX) and the weight of the disc. Significantly improve your game by picking the best disc golf disc for your individual needs and experience! 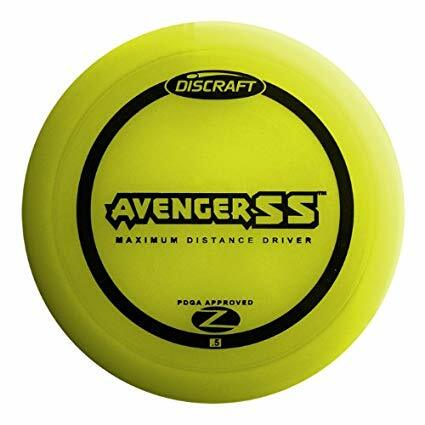 The first disc on our list is the Avenger SS, manufactured by Discraft. Although we recommend this disc to those that would consider themselves beginners or intermediate disc golf players, this disc can truly pack a punch. It was designed to provide extremely long drives with a casual turnover at the end while being slightly more beginner friendly with the release velocity. 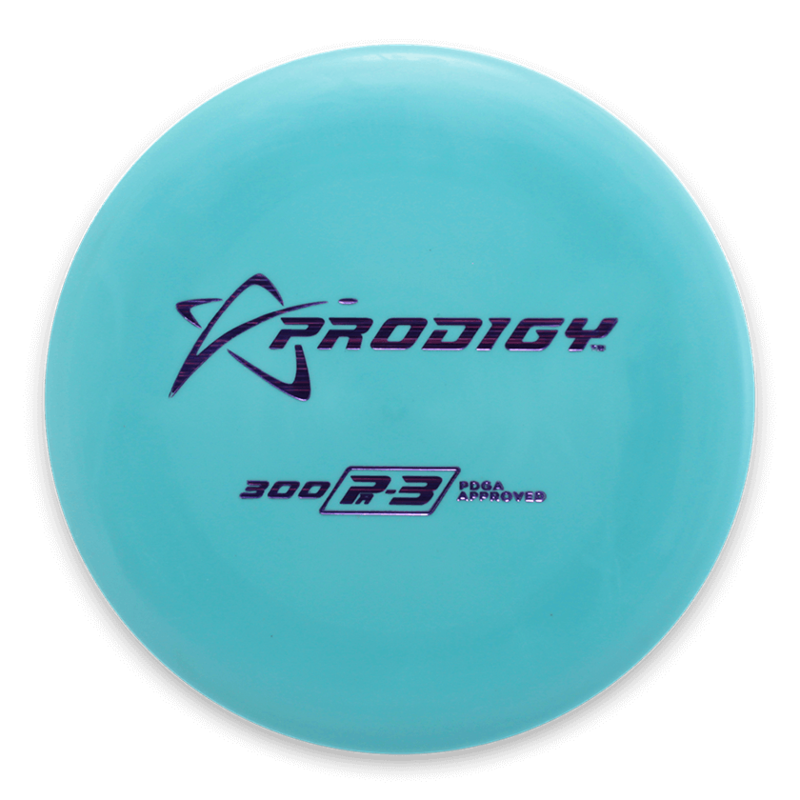 One of the main things about this disc which makes it a great disc for beginner and intermediate players looking for distance is it's balanced stability and it's long flight time. This allows you to get the long straight flight pattern you're looking for while the gentle fade at the end provides even a bit more distance onto your drive. Along with this, out of all the plastic options for this disc, I recommend going with the Z-Line plastic because it will last you longer and if you are looking for stability in a disc, then you want the plastic to remain perfectly in shape. Overall this is a great disc for someone that is looking for a understable backhand driver that will add some distance to your drives, while giving you that consistency that you need, then take a look at the Avenger SS by Discraft! There's a reason this disc is one of the most commonly used discs by professional players. In fact, four time PDGA Champion Paul Mcbeth features 6 different Innova Destroyers in his bag! This overstable disc is decently heavy at 160g-175g which definitely makes it optimal for experienced disc golfer with a high release velocity. This disc is a favorite by many on the professional tour because of it's long distance, and it's dependability in rain and windy conditions. 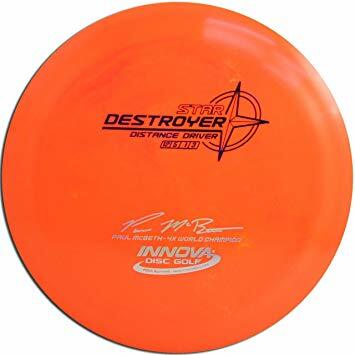 There are other discs that claim to offer distance or offer dependability in turbulent weather, but the Destroyer is one of the only discs that offers both of these! This wide rimmed disc is one of my favorite discs, and what I would consider the best disc golf disc! 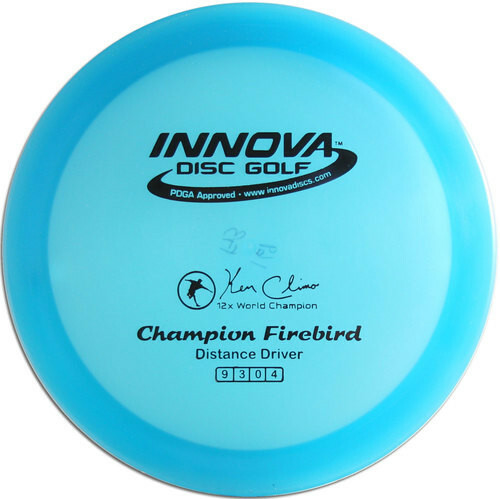 The next disc on our list is the Innova Firebird! This disc is one of the best disc golf discs for forehand drivers that are looking for distance! This overstable disc is perfect for forehand drives because of its weighted rim which helps to increase the stability and reduce wobble. This is a pretty heavy disc which makes it a great choice for forehand drives because this added weight on the perimeter of the disc maximizes the gyroscopic stabilization effect which helps to keep this disc straight down the fairway. The glide of the Innova Firebird is pretty low, and this helps to prevent the disc from sailing too high in the air, especially if you're playing in windy conditions. This disc strives for low thrown drives that will seem to travel forever. I also recommend the Champion grade plastic for this disc because it adds to the stability of this disc, and will ensure that your drives are consistent no matter the age of the disc. Overall if you are someone looking for a forehand distance driver, the Innova Firebird is a great choice because of its stability and weight. 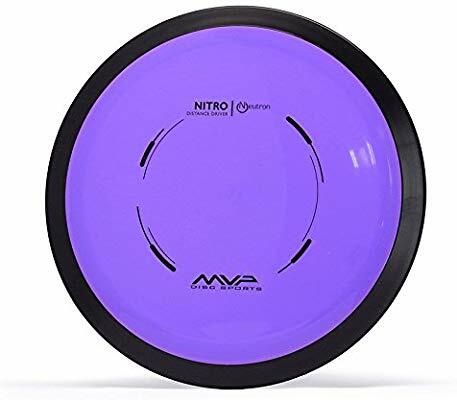 This Nitro by MVP Disc Sports is a unique state of the art disc created for stability, which makes it perfect for forehand throws. This disc is slightly different than your standard disc because the center of the disc is made of extremely thin plastic, and the majority of the weight is in the rim. This allows the disc to be overstable and really increases the stability more so than a traditional disc. This overmold disc provides a delayed fade on your drive which gives you additional distance and gives you straighter finishes on your drives. Because of the overmold design which makes the center of the disc dramatically lighter than the rim of the disc, this gives you the stability you need for flick/forehand drives. The MVP Nitro is the best disc for forehand drives! 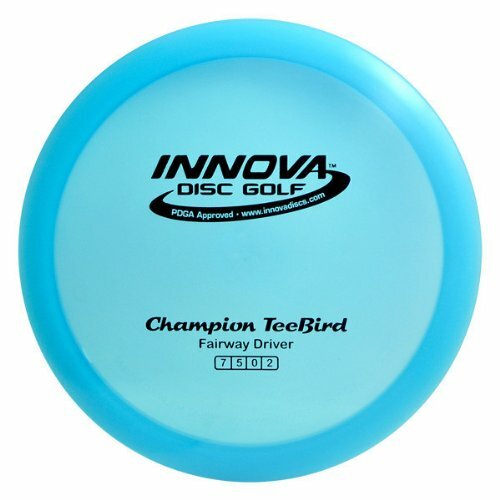 The Teebird by Innova has a deep history in disc golf. This disc has been used to win nearly 20 PDGA World Champions and is one of the most popular fairway drivers used by professionals today! The main reason this disc is so well liked by professionals is because of the stability and the high glide. Both of these pair up to give you one of the most consistent and predictable flight patterns while still giving you good distance. Because the stability of this disc is what makes it a great option as an accurate fairway driver, I recommend you stay with Innova Champion grade plastic because this will ensure that the disc doesn't change shape or flight pattern after being worn in, and also adds stability. Overall this is a great disc for those who are looking for "old reliable" which can give you some distance on your drives and also give you a smooth and predicable flight pattern. There's a reason why this is one of the favorite discs of professional disc golfers, you should give it a try! When you're looking for an approach disc to ensure that you are setting yourself up for an easy put, you want to make sure you have a consistent flight pattern, you have your distance ranged in and you have the stability you need. The Roc3 by Innova is another pro favorite because of it's consistency in midrange approach shots. This midrange allows you to get a bit more distance than most midranges, while still, providing a subtle fade at the end which lets you touch it down right where you need it. 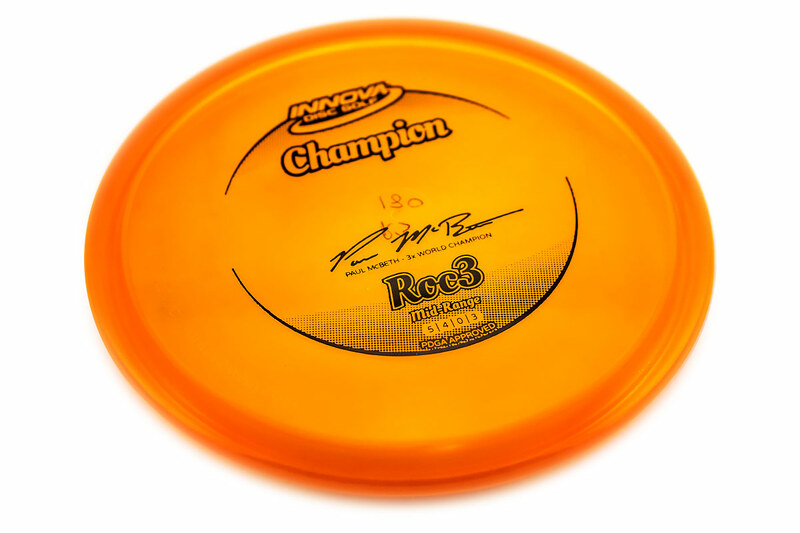 The Innova Roc3 comes in a few different innova plastics, but I definitely recommend that you go with the Innova Champion grade plastic because it holds its stability better than most other plastics. Many consider this the best mid-range ever made, and once you have this disc beat in a little bit, it will never seem to fail you! 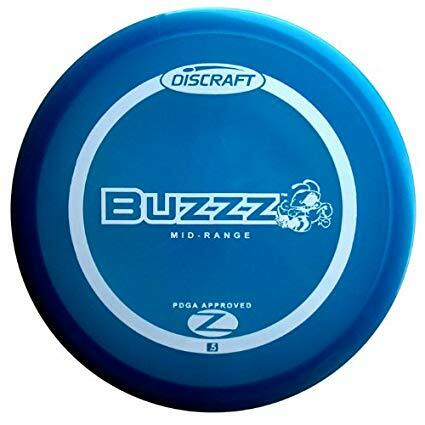 The Buzzz by Discraft is with out a doubt one of the most popular discs in the world. Commonly described as a "mid-range" disc, this disc is a jack of all trades and allows you to get more distance than a traditional mid-range disc. This disc is extremely reliable and suits a great range of throwing styles and situations. This disc also suits a great number of angles which means the disc will perform exactly how you want it to based on your shot selection. Many discs today are created with a specific type of shot in mind. But the beauty of the of Buzzz by Innova is that it takes the consistency and reliability of your favorite shot, and it gives it to you in every throwing style and any shot you need to make. The Buzzz gives you the uttermost confidence in any midrange shots your might encounter! There's a reason the PA3 by Prodigy is one of the most popular putters on the PDGA tour currently, this thing just flies straight. With one of the straightest flight patterns of any putters I've seen under 30 feet, it has quickly become my go to putter. This putter features a beaded edge which can be off-putting for some but this doesn't feel like a traditional beaded rim. The disc has a good feel, and with the beaded rim it fits quite nicely in your hand. As you can see this is an extremely stable disc, and is really one of the straightest flight patterns out of any putter on the market. Along with this, although it is a beaded putter, many players have found that they get an extremely consistent release with it, even if they've had trouble with beaded discs in the past. Overall this is an extremely consistent and dependable putter, which will soon be your go to! 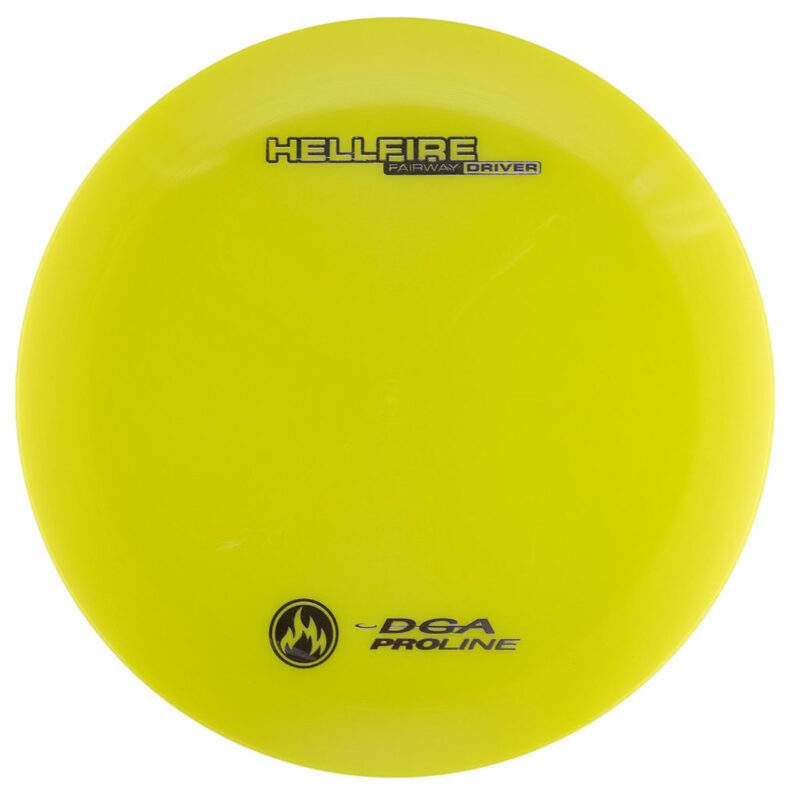 If you are looking for a disc that will help you get our of the thick of it, then you need to take a look at the DGA Hellfire. This extremely overstable disc is designed pretty much exclusively for utility shots, and it really excels at tomahawk/overhand throws. This disc is extremely fast, and if thrown off the drive be careful of the absolute meat hook of a turn in the flight pattern! As you can see, this disc is built for speed, and this speed translate perfectly for tomahawks and spike hyzers. Although you might not need this disc every hole, if you are looking for a disc that can help you get out of trouble, then this is the disc for you! The more you begin to play disc golf, the more you being to realize just how different discs can be. Whether you're looking for a disc to give you more distance off drives, or you're looking for a consistent mid-range disc, there are discs out on the market that will fit your needs perfectly. I hope the reviews of some of my favorite discs for different situations have been helpful, and you find a great disc golf disc for your needs. Copyright text 2018 by St. Jude Disc Golf.